Now with 1.6, the Graphene theme for WordPress offers a quick and easy way to change the width of your blog. However, changing the size of the header image still requires a little tweaking. You really should upgrade. But if you don’t want to or can’t, this will get you off the ground. That’s it! When you upload your header image, it will now crop it to 900 pixels wide and 150 pixels high. For a different size, just change the values shown here accordingly. Don’t forget to click the “Save Options” icon at the bottom. Change the 150px measurement to whatever you would like your header image height to be. 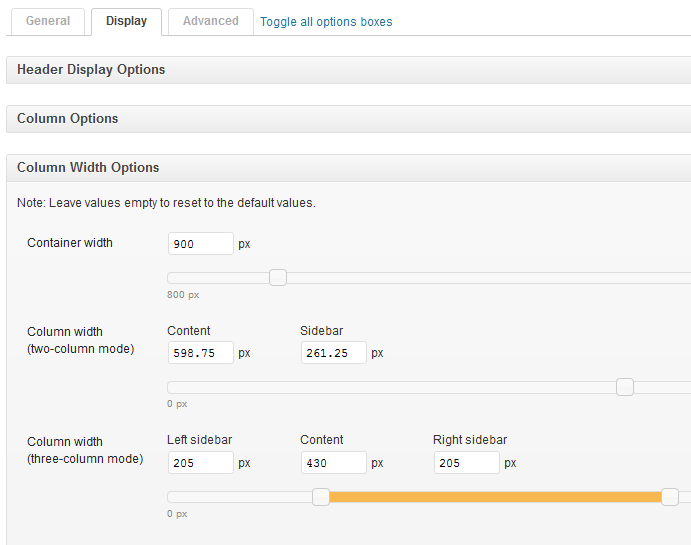 Version 1.7 will include an option for a custom header image size. Hooray! You can visit the Graphene theme home page here. Then, experiment with different values for top until you find something you like.